Shop Support our mission with one-of-a-kind items. 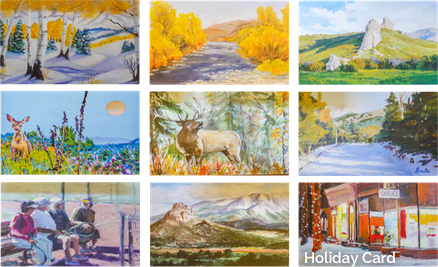 Featuring scenes painted by local artists. 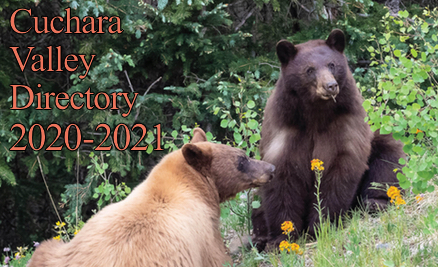 Residents & contact info arranged alphabetically & with maps by areas & subdivisions. 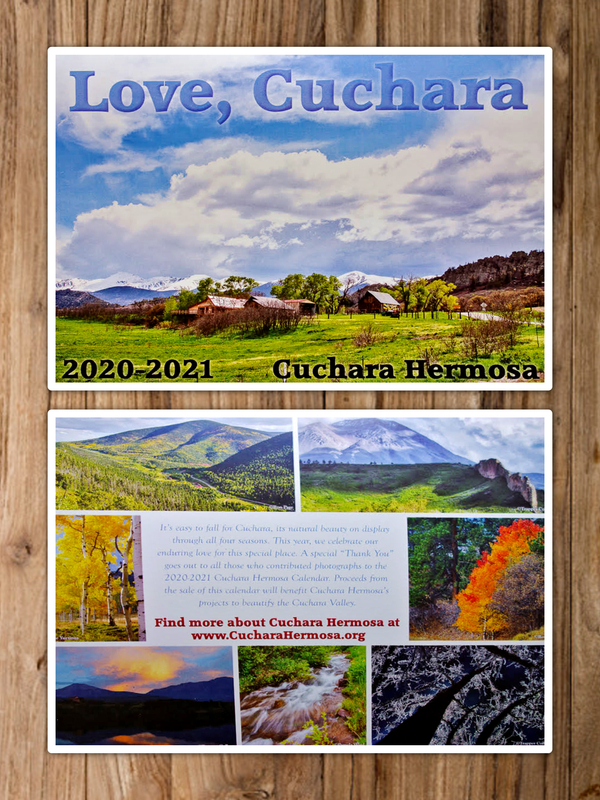 Our unique Cuchara Artist Cards feature scenes reflecting "the Cuchara experience". 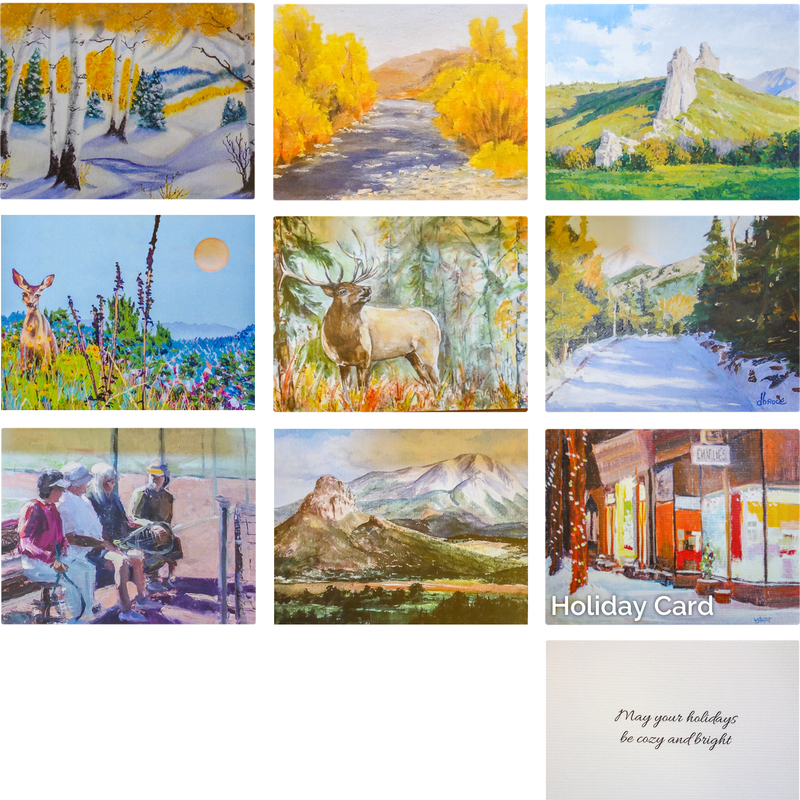 Choose 8 blank-inside cards (8 different scenes as shown above), tied with bow & with envelopes. The Charlie's At Christmas scene is a Holiday card, with message "May your holidays be cozy and bright" inside - 12 to a set, tied with bow with envelopes. 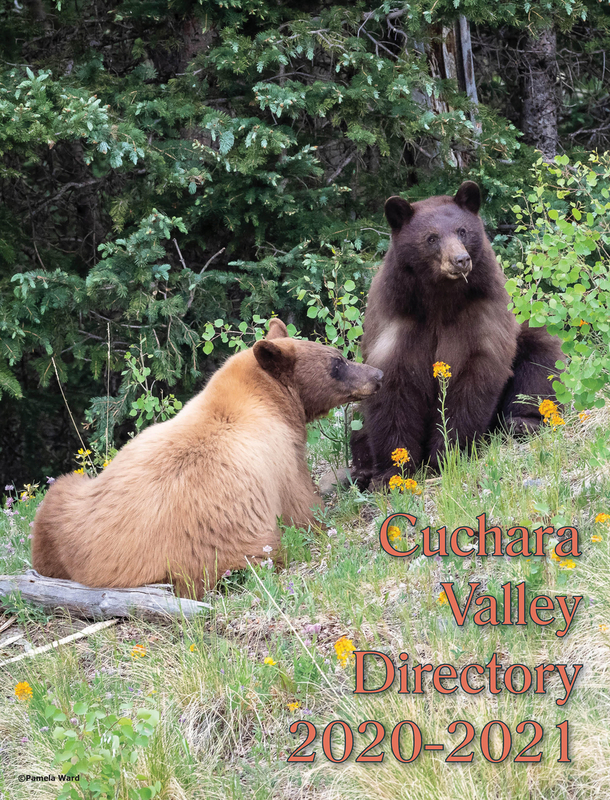 Coloring books include scenes from the Cuchara valley. 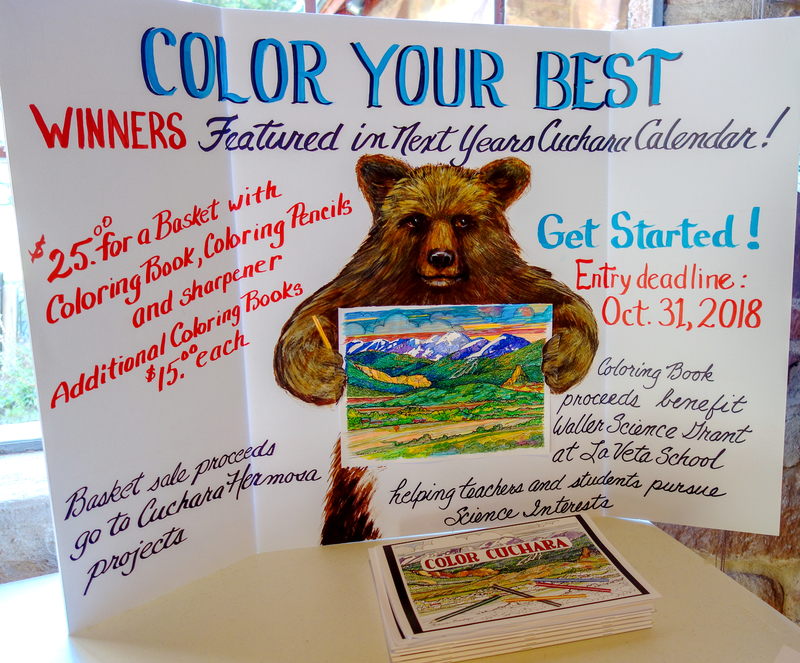 Color Cuchara coloring book sales benefit the Waller Science Grant at La Veta Schools, helping teachers & students pursue science interests. 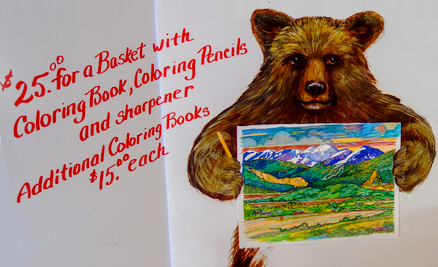 Enter our Color Your Best coloring contest! 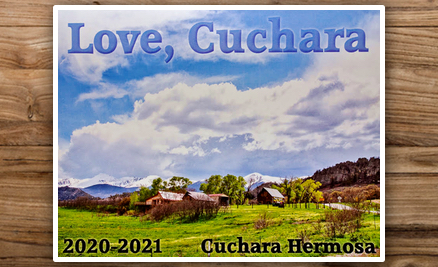 Winners are featured in next years Cuchara Calendar. Contact Suzanne Pierce to order by check.